The Optimus Pad is the weapon to help LG battle into the recently started Honeycomb tablet war. 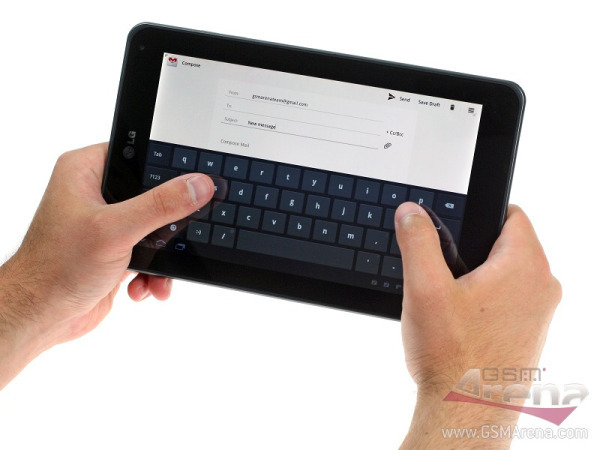 Besides its 8.9-inch display, Tegra2 chipset and 32GB internal storage, the Optimus Pad has a secret trump card. That’s right. We are speaking about that dual 5 megapixel camera at the back capable of recording 720p 3D videos. Later you can watch them with a pair of standard red-cyan glasses. The Optimus Pad runs on stock Android Honeycomb. There are no LG specific apps except the 3D camcorder and player. The videos are not something impressive and most of the time you will be using the standard camcorder capable of 1080p video recording. But it’s a good thing you can show off with 3D videos in YouTube from time to time. Anyway, we are already working on our review and you could expect it on GSMArena.com soon.